In 2007, ANTF was created by two cousins, Justin LePore and Alex Kubala. Originally conceived as an Xbox Grand Theft Auto IV Police Gaming clan, this lasted for about one and a half years. ANTF stands for America's Next Top Franchise. In 2008, Alex gave full control to Justin and, Justin turned ANTF into a Xbox Human Resources Clan specializing in helping other gaming organizations grow and succeed by offering cutting edge solutions and management tactics. This was very successful. In 2009, ANTF Introduced its own proprietary software aimed at Gaming clans and its own members. This was wildly successful and made ANTF a household name in the Xbox Community. In 2010, ANTF Introduced its first VB.Net Xbox Clan virtual operating environment along with its award winning GTA IV Police Dispatching Software (Now Defunct). Between 2011-2014/15, ANTF continued to operate as a Xbox gaming Human Resource firm with over 12 experts in clan strategies reaching as far as Australia, and had working partnerships with over 10 large Xbox gaming organizations, and a slew of software. 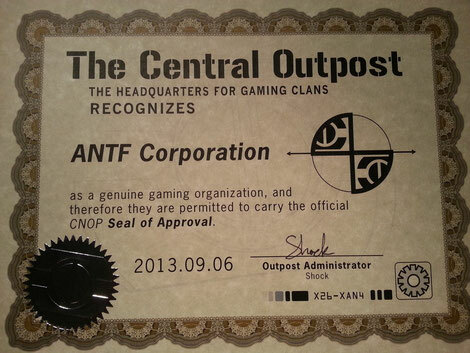 As shown in the picture, ANTF was even awarded by CNOP for its role in the Xbox community. GTA V then came out, and ANTF closed down its Xbox HR/ClanCare operations. In 2016 and Beyond, ANTF now strives to create free software aimed at making daily tasks easier and concentrating its efforts on VB Virtual operating environments in hopes of perfecting it, molding it for corporation use, and selling it.